Choose your partner’s Moon sign from the form above, or scroll down to see Moon sign matches with Moon in Libra. Read more about what it means to have the Moon in Libra. The two of you are opposites in many ways and you are each drawn to the qualities in your partner that you lack. Libra doesn’t really feel complete without a love partner, and instinctively knows how to share, blend with, and harmonize with people, while Aries is more self-reliant and assertive, and often rather inconsiderate of others’ needs and desires. Aries instinctively takes charge and tends to run the show, while Libra is the conciliator and compromiser in your relationship. Libra depends a great deal on others’ approval, often lacks a strong sense of self or personal direction, and may simply go along with Aries much of the time, for Aries has stronger preferences and less willingness to accommodate a partner’s wishes. Libra wants togetherness, while Aries needs time to go off alone and be a free agent sometimes. Also, Aries is rather impulsive and volatile, and is prone to outbursts of temper, while Libra is more rational and often avoids unpleasant emotions, especially anger. 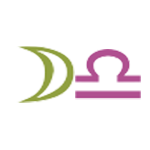 Therefore, Libra may appear to be the nice, likeable “good guy” in the relationship, while Aries is cast in the role of the trouble maker. When personal problems arise, Libra wants to discuss them with a counselor or friend, is open to suggestions and others’ opinions, and wants to negotiate a fair, equitable solution. Aries is less likely to seek outside help and may have little patience for talking and airing the problem, unless some clear, concrete change results. The two of you will have to do considerable adjusting in order to live with these differences between you, even if other astrological aspects indicate harmony and compatibility. Harmony, pleasantness, and peace in your home life and personal relationships is so important to both of you that you’ll ignore or cover up the conflicts and differences that exist between you. Both of you are very uncomfortable expressing anger and afraid of creating upheaval. As the song goes, “you’d do anything to avoid a fight”! Of course, Libra’s innate diplomacy and courtesy, and Taurus’s slowness to take offense go a long way toward keeping your relationship smooth, but there are times when you need to look plainly at the problems, or you are bound to experience dissatisfactions at times. For instance, one area that might be a problem is that Libra enjoys and needs a lot more verbal communication than Taurus is inclined to, and Libra may feel unhappy or neglected unless there is a running conversation going on. Also, Taurus is more prosaic and once a relationship is comfortably established, may take it for granted, whereas Libra wants romantic gestures and a certain style or elegance in order to stay interested in the relationship. Taurus’s tastes are simpler, and Libra has more of an interest in art, literature, theater, culture, etc. than Taurus does. These problems certainly do not need to become major ones, but you should acknowledge your differences and confront your problems when they arise. Both of you are more rational and reasonable than emotional so you are likely to get along well. Difficult situations or problems that arise between you are likely to be dealt with logically and with an attempt to be equitable and fair. Both of you are uncomfortable with an unrestrained expression of feelings, and you may ignore or avoid your own anger, fears, sadness, or other “dark” emotions. Libra always wants the relationship to be sweetness and light and tries to smooth everything over as quickly as possible. Gemini will discuss or debate endlessly but detaches or becomes very uncomfortable when emotion threatens to overcome the reasonable tone of the discussion. Gemini uses humor or verbosity as a defense against feeling difficult emotions, or dealing with other people’s emotions. You are both very social creatures with a great need for companionship and conversation, though Libra is more personal, more interested in people and human situations while Gemini is simply interested in ideas and will talk about anything at all! You are likely to appreciate one another very much as friends (in addition to whatever romantic interest you have for one another). Both of you try very hard to please and accommodate people, especially your love partner, and you are both very sensitive to others’ approval and opinion of you. Because harmony in your personal life is so important to both of you, you go out of your way to try to make one another comfortable and at ease. Both of you, in fact, feel very threatened by interpersonal conflict and you sometimes avoid confronting the more thorny problems or underlying differences in your emotional natures, however. Cancer wants and needs security, reassurance, a home, a sense of belonging, close family ties. Cancer needs to be needed, is inclined to smother loved ones, and may be more of a mother or father than lover to Libra. Libra, on the other hand, wants a romantic partner more than a parent. So differences may arise regarding loyalties to family (Cancer) versus giving time and attention to the two of you as a couple (Libra). Also, Cancer is often more emotional and “irrational” than Libra, who is usually more even, cool-headed, and reasonable than Cancer is. Your Moon signs are quite compatible and you will find that you both have much to enjoy in each other! Both of you are personable, friendly, and affectionate, with a strong romantic streak, but of course you are different in many respects also. Leo is individualistic and proud, while Libra is more concerned with “us” rather than “me”. Libra is more aware of others’ needs than Leo is, and more willing to accommodate them. This can be a significant problem for Libra at times – being too obliging, too eager to please, compromising too much. Being indecisive is also a habit of Libra’s. On the other hand, Leo is naturally rather self-centered, more dominant, certain, and decisive, but extremely good-hearted, so it is unlikely that Leo will take advantage of agreeableness in a partner. Libra is very concerned with what is fair, and over time, can easily begin to resent giving in to a partner. Leo is honorable and truly appreciates Libra’s willingness to see both sides of a situation. You respect each other, and have fun together, and this is a major sign of compatibility! Both of you enjoy romantic overtures of love, with Leo perhaps more in need of them. Leo, you have found a true emotional match! If you live together, there is a likelihood that Libra will be a little more submissive then Leo, as Leo’s inner strength is unmistakable, and most apparent behind closed doors and in domestic situations. Libra is likely to find this inner strength attractive indeed. Both of you are perfectionists in your own ways, though what “perfection” means to each of you differs. Libra wants the perfect relationship, one that is beautiful and harmonious and free from all tension, conflict, or dissonance, and also one in which both partners share equally in everything, are able to discuss everything together, and always work out a fair, equitable solution to any problem that arises. It may be difficult for Libra to accept the cruder or less-than-ideal aspects of a partner’s character or appearance. Virgo is a perfectionist in the sense of wanting perfect order in the environment and paying meticulous attention to detail, being fastidious and particular about hygiene, health and diet, or correct behavior and procedure. Virgo is also self-critical and often tries to live up to impossibly high standards for behavior, appearance, performance, or technical ability. Both of you have rather refined sensitivities. You also respond more reasonably and logically, rather than impulsively or emotionally, to most situations. One difference between you is that Libra can see merit in just about anyone’s viewpoint and often doesn’t have strong, extreme views, while Virgo does have very clear, definite ideas, and the annoying habit of correcting other people when they are “wrong”. You blend very well together and instinctively understand one another. Courtesy, consideration, tact, and diplomacy come naturally to both of you, for you have a strong desire to please people and to avoid unpleasantness or conflict in your personal lives. Both of you want very much to be liked and approved of all of the time, and you may avoid taking any strong or extreme point of view in order to avoid offending anyone. Both of you can be indecisive (even in such minor matters as which restaurant to go to, which film to see, etc. ), and often you depend on someone else to make a definite choice. For both of you, the most important thing is to BE TOGETHER. You may feel quite insecure or incomplete without a partner. You both value fairness highly and will try to be equitable and just in your dealings with one another. The ideal of the perfect relationship in which both partners share equally in everything appeals to you. You are likely to spend a lot of time talking, sharing and explaining your points of view to one another and, when necessary, trying to negotiate a fair compromise when you disagree. Aesthetics are very important to both of you, and you could create a very lovely, harmonious, pleasing home together. Libra is friendly, sociable, and agreeable, with a gracious, personable manner that others find very congenial. Libra enjoys people and wants so much to be liked and to be surrounded with pleasantness that Libra often avoids confronting people and dealing with anger and conflict in personal relationships. Scorpio, on the other hand, has a quiet disposition that masks much emotional complexity and sensitivity. Light, superficial social interaction doesn’t interest Scorpio at all, and, in fact, frequently makes Scorpio feel separate and lonely. Scorpio feels a whole range of powerful emotions – desire, jealousy, rage, fierce loving attachments or intense loathing -and Scorpio cannot live without relating on a very deep, intimate level, which often includes conflict and confrontation. In fact, if things become too easy and mellow, Scorpio will (consciously or unconsciously) provoke some trouble in a relationship. Scorpio seems to thrive on emotional drama and intensity, while Libra very much prefers harmony, sweetness, and peace. Scorpio is drawn to the hidden, dark, mysterious side of life and of people, while Libra focuses on the light and good in others. Generally Libra accepts people as they appear to be, while Scorpio probes and analyzes and is more suspicious. Also, Scorpio can be manipulative and controlling, and may be subtly dominating in this relationship. For the most part you get along very harmoniously. You are both idealistic and you prefer to see the good and noble and beautiful in life and in people (even when that means ignoring the plain facts about a person!). You are both open and tolerant, and you enjoy mixing with others, going out, and socializing. There are differences between you, though. Sagittarius is quite candid, often to the point of being blunt, though in a good-natured manner, while Libra is generally very diplomatic and gracious. Sagittarius has strong convictions and beliefs and expresses them very openly, while Libra may not take a strong stance to avoid offending someone. Libra is more personable and more aware of other people’s responses, while Sagittarius is cheerfully oblivious to others’ responses and feelings at times. Sagittarius is sometimes boisterous and outrageous, while Libra’s behavior is always in good taste. Also, Libra needs companionship and a lot of affection, and may feel insecure without a close partner. Sagittarius is more independent and sometimes enjoys going off on a solitary adventure. Libra is a warm, affectionate person who needs people, especially a very close, loving partner to share life with. Conversation, companionship, togetherness, and being half of a tight couple are very important to Libra. Capricorn is often emotionally reserved, and not emotionally available, responsive, or affectionate enough to suit Libra. Libra is rather dependent on friends or a mate, while Capricorn is more self-sufficient emotionally, or is afraid of neediness, dependency and emotional vulnerability. Libra finds security in personal relationships, while Capricorn finds it in work, accomplishment, and material success. Capricorn, in fact, takes life seriously and tends to work more than necessary, while Libra is more balanced and wants to spend time socializing or relaxing more than Capricorn does. Your relationship is apt to have a light, airy, friendly, and not overly emotional tone to it. Both of you are able to be somewhat detached and objective about your personal situation. Sharing ideas, common interests, conversation, books, and intellectual pleasures are a satisfying aspect of your relationship. You share ideas too, often about how people “should” relate to one another: fairness, equality, non-possessiveness, respect for each other’s individual differences and autonomy, and open communication on all subjects are likely to be among them. The major difference between you is that Libra is much more personal and romantic, and is more inclined to need a partner in order to feel complete, while Aquarius is more independent and eschews too much emotional neediness and dependency. Also, Aquarius has a rebellious streak and enjoys flouting convention at times, while Libra is very concerned with social acceptance, appropriate social behavior, and good manners. Both of you are peace-loving and need a harmonious, non-competitive atmosphere in your home. Both of you avoid conflict as much as possible and Pisces in particular is something of a pacifist, at least in personal relationships. There are differences between you, though. Pisces has little sense of limits or boundaries, and may be very comfortable in a rather fluid, disorderly, even chaotic, sort of atmosphere. Libra has a highly developed sense of balance, proportion, and symmetry, and naturally seeks order. Moderation, appropriateness, and a happy medium are important to Libra, while Pisces tends to go to excess in everything. For instance, Pisces is essentially very generous and compassionate and will give endlessly and indiscriminately to someone with a sad story. Pisces often becomes involved in relationships where one person is primarily the giver or helper and the other is dependent and needy, the receiver in the relationship. Libra, on the other hand, seeks a reciprocal relationship between equals and is very much aware of how much each person has given and taken. Libra wants the scales to be balanced. Also, Pisces is very emotional, psychically receptive and intuitive, while Libra is more unemotional and rational in comparison. Magenta Pink is Hot – Your Moon signs are trine. Your individual emotional dispositions are similar enough to understand, and different enough to be exciting. Crimson Red is Bang-On – You share the same Moon signs. Your emotional natures are so similar, it’s uncanny. Your relationship is very intense. Light Purple is Harmonious – Your Moon signs are sextile. You appreciate one another’s emotional style. It’s easy to collaborate with one another. Pink is Opposites Attract! – Your Moon signs are opposite. You find each other fascinating, frustrating, and intriguing–all at the same time! Beige is Huh? – Your Moon signs are semi-sextile. You don’t really understand each other’s styles of expressing emotions. Your relationship requires some adjustments. Olive is Paradox – Your signs are inconjunct. If an attraction exists, it’s magnetic and binding, but it’s hard to find the reason for it, and plenty of adjustments are necessary. Green is Clash – Your signs are square. It’s very challenging to understand each other’s styles of expressing feelings, and clashes are frequent. Don’t know your Moon sign? Find out how to determine your Moon sign here. Interested in learning more about Synastry, the astrology of relationships? Visit our Synastry page. *Source of Moon Sign Compatibility interpretations: the Romantic Compatibility Report. The Romantic compatibility report compares Sun signs, Moon signs, aspects between two people’s planets, and more, providing a comprehensive look at a couple’s compatibility.